Despite that fact that it has produced one of the most exciting world championship fights in recent memory, Formula 1 rights holder Bernie Ecclestone does not think that the new points system put in place for the 2010 season has worked. 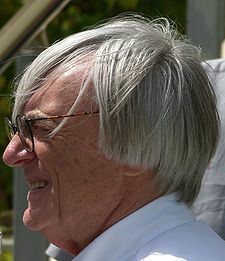 Autosport.com reports that Ecclestone believes that the points system has not lead to more drama than the old points system and is still in favor of adopting a “winner takes all” system that would award the World Drivers’ Championship based solely on winning the most races. However, the drivers who are currently involved in the title chase don’t seem to agree with Ecclestone’s assessment of the current scoring procedures. When told of Ecclestone’s comments, current world champion Jenson Button joked that “I don’t think it’s been an exciting season at all” and said that the system in place is working fine. “Seriously, I think for the first three people it is exciting in the championship – when you are right at the front it could be really exciting. Last year I would have loved that and could have sat out the last few races and gone on a big holiday for three months, but this year it has been so close it has been a fantastic season. The points system has worked. “The problem is also for the smaller teams. If it is a medal system then there have probably been four or five teams this year that would have got a medal, and that is really tough for a lot of teams on the grid. “At the moment there are three teams at the back and they are a little bit away from getting points. It is still difficult, but to get that point is so exciting for them.